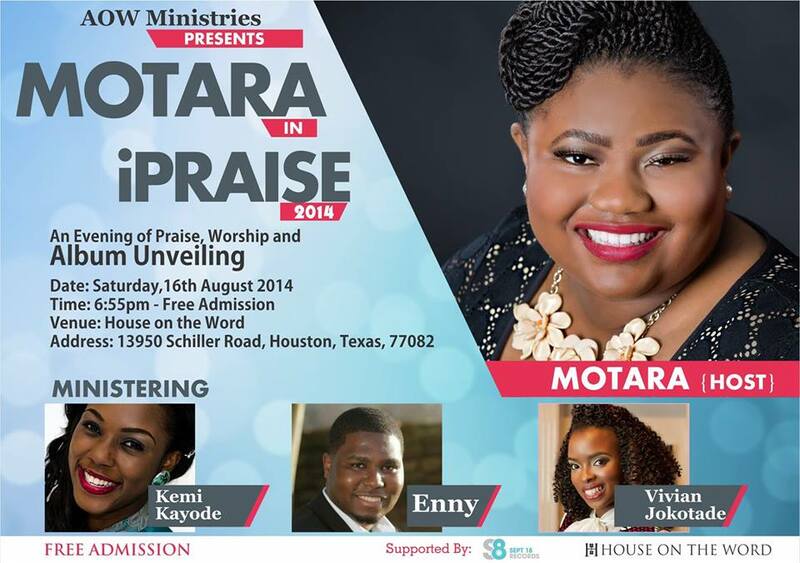 iPraise is an evening of praise and worship coming up on the 16th of August, 2014 at Houston Texas and Minister Motara will be releasing her album as well. Kemi Kayode and Enny will also be ministering. Vivian Jokotade will also be there. Save the date and plan to attend. You will never be the same!